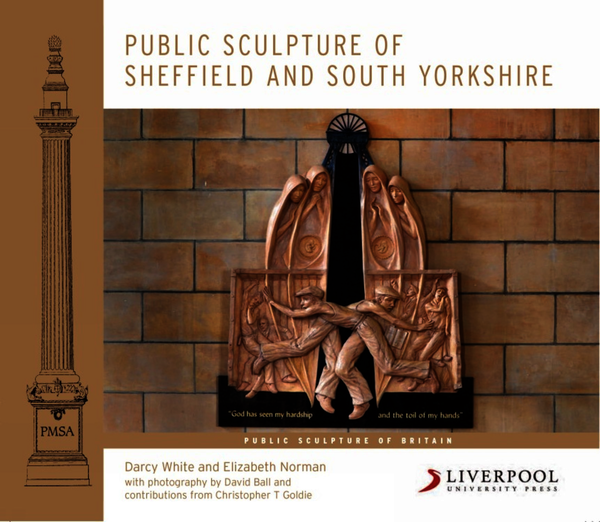 This book provides a detailed survey of the significant public sculpture located across South Yorkshire, including statues, memorials, architectural sculpture and reliefs. Each artwork is fully discussed in terms of the circumstances of its commission, the design and making process, and public responses. Style and iconography is also covered. The range of works available in the region is impressive with notable contributions by some of the country’s most significant artists including the very earliest works by Sir Francis Chantrey in Sheffield and later work at Owston, a double memorial by Peter Scheemakers at Barnby Dun, a Pomeroy frieze and other reliefs on Sheffield’s Town Hall, and work by Onslow Ford, Alfred Turner and Alfred Drury. Many of the memorials and sculptural works relate to the region’s industry which was based on coal mining, steel production and related manufacture. This is reflected in nineteenth, twentieth and twenty first century pieces, sometimes commissioned to remember significant industrial disasters or to register the demise of the mining industry. In other cases sculpture has been commissioned to celebrate the endeavour of the local population. In terms of local talent the work of Frank Tory & Sons stands out; a highly skilled and prolific family of local sculptors. From the 1880s onwards this family produced beautiful examples of stone and wood carving, and through the first half of the twentieth century, a long period marked by significant stylistic developments. More recently, Sheffield and South Yorkshire has made a significant contribution to the renaissance in public art in Britain from the 1980s onwards and there is much contemporary work that is of interest in its towns and cities. Darcy White is Principal Lecturer in Visual Culture at Sheffield Hallam University. Dr Elizabeth Norman was Senior Lecturer in History of Art at Sheffield Hallam University. David Ball is Senior Information Advisor for Photographic Collection at Sheffield Hallam University. Dr Christopher T. Goldie is Senior Lecturer at Sheffield Hallam University.